One of the best characters, in one of the best stories, written by one of the best authors. Need more convincing? Pick up If I Stay first to get the full scoop on this story & then prepare yourself for greatness in it's sequel, Where She Went. Yes, you're seeing this book mentioned for the second time on this feature -- because it's THAT good. I can't mention my favorite male POV novels & not throw this one in. If there was ever a broken boy I wanted to heal so badly, it would be Seth. Read this book & tell me you don't agree -- I dare you. Telling you that I love this book is an understatement. From that gorgeous cover, to that unbelievably lost soul named Thomas Mackee -- I am simply blown away by this novel. If you have not been introduced to the fabulous Melina Marchetta, then stop what you're reading & grab this book NOW. Owen, Frank, Audrey, and Jin-Ae have one thing in common: they all want to die. When they meet online after each attempts suicide and fails, the four teens make a deadly pact: they will escape together on a summer road trip to visit the sites of celebrity suicides... and at their final destination, they will all end their lives. The author captures the voice of a boy teetering on the brink of adulthood. Charlie is a freshman. And while's he's not the biggest geek in the school, he is by no means popular. He's a wallflower--shy and introspective, and intelligent beyond his years, if not very savvy in the social arts. We learn about Charlie through the letters he writes to someone of undisclosed name, age, and gender, a stylistic technique that adds to the heart-wrenching earnestness saturating this teen's story. 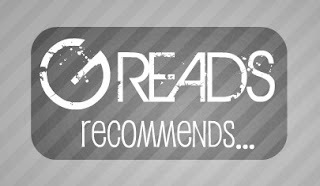 -- This recommendation is from author Hannah Moskowitz, who also writes male POV's. If you've read any of these book, please let me know what you thought in the comments. Or if you have more male POV books to recommend, please share! I haven't read any of these except for The Perks of Being a Wallflower, so thanks for all the recommendations! I love this feature! I am really glad that the only one on this list that I have read is Where She Went. It means I get to read all sorts of new books! I already bought Freefall based on you rec, but haven't gotten to it yet! Thanks for all the awesome suggestions! LOVE LOVE LOVE Will Grayson, Will Grayson but I will scream from the rooftops forever that I am a huge fan of John Green! 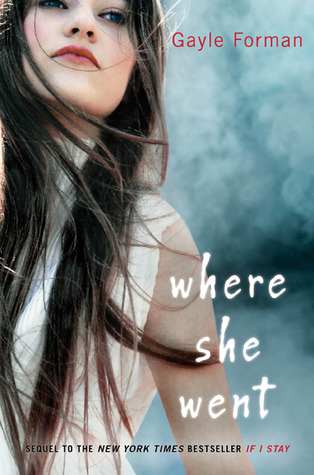 And I cannot wait to read Gayle Forman's Where She Went. I really liked If I Stay, but I think that the more I think about if after reading it, the more I like it still. So it is super high on my TBR list. I really liked Leverage! And Crash Into ME sounds like a really good book. Great list. I just got Freefall last week, so am excited to see it on your list. Will Grayson, Will Grayson and Where She Went have also both been on my TBR pile for awhile now. oh man, male pov books just might be my fave. 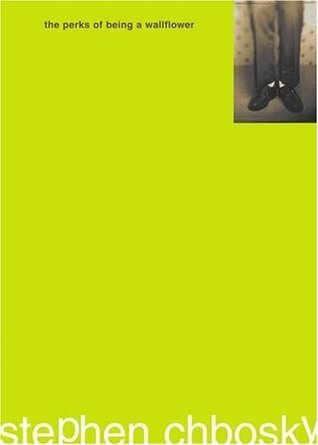 i just finished STUPID FAST by Geoff Herbach which is male pov (and awesome). other male povs i'd suggest are THE KNIFE OF NEVER LETTING GO (for obvious fangirl reasons), anything and everything by John Green, THE BODY OF CHRISTOPHER CREED by Carol Plum-Ucci, GENTLEMEN by Michael Nothrop, and SHIPBREAKER by Paolo Bacigalupi. like i said...i kinda love male pov! and you've added some fabulous titles to my tbr. thanks for the suggestions, Ginger! 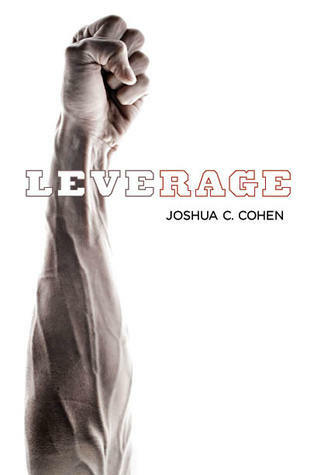 I read Leverage and LOVED it. It is seriously one of my favorite books of this year so far, and it's also the reason I'm looking into intense, gritty contemporary fiction. I'm going to have to check out these other titles, as well. Love Freefall and Where she Went. Two of my favorite male POV. I'm a HUGE boy POV fan. I wish there was more out there to read. 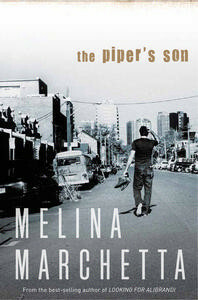 I want to check out The Piper's Son! 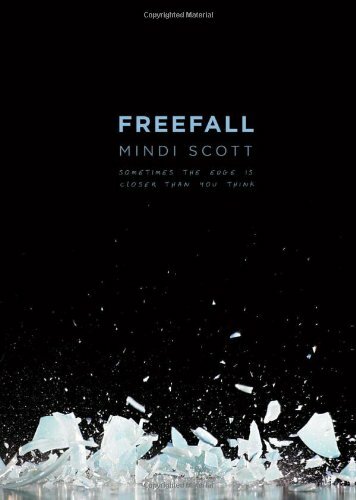 I've only read Freefall, great book! I thought Scott nailed the male point-of-view. I never thought I would love hearing from the male pov before, but she did a fabulous job. I second the Michael Northrop recommendation: I love his books! Gentleman and Trapped are two of my all-time favorites and I recommend them to every teen boy I meet. 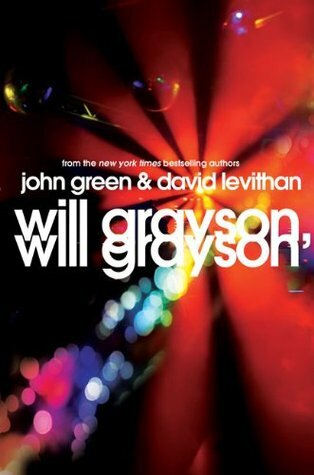 I love Will Grayson, Will Grayson, as I do all John Green books. Other favorite male POV books (I prefer them over female, actually): The Monstrumologist by Rick Yancey, The Schwa Was Here by Neal Shusterman, Tangerine by Edward Bloor, King Dork by Frank Portman, Rocket Boys by Homer Hickam (an oldie but a goodie), Whaletalk by Chris Crutcher (in my all-time top five favorites) and The Curious Incident of the Dog in the Night-time by Mark Haddon. I'll stop there, but I love these recommendations. I'm getting Freefall tomorrow when I volunteer at the library! I've heard really really good things about Leverage! Even though that veiny arm totally freaks me out.